Many people believe that private and intimate ideas for the home are very hard to find and experienced in a modern house. We can say that there are many helpful ideas that present day designers are now applying in order to achieve this goal. 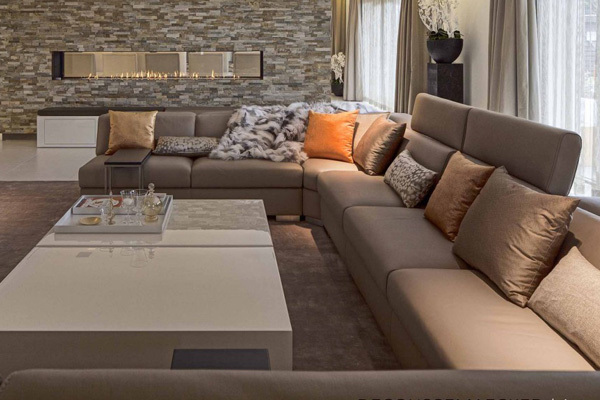 Modern interior design can now be utilized by adding trendy furniture to maximize the available spaces in the house. Originally, this house will feature today is a farmhouse situated in North Holland, which is a province in the Northwest of the Netherlands. In fact we have already seen different farm houses that were converted into a more functional and fascinating residences in different parts of the globe. This house is one of those successful featured houses that truly impressed a lot of people. Let us see more of the intimate areas of this house through the images below. Take a look at the amazing effect of the lighting system installed in the front of this house that highlighted its charm. Elegant and charming furniture make this area a comfortable living space. We can see how the colour of this dining set harmonized with the enchanting chandelier above it. Extraordinary staircase underlines its luxurious and elegant features. 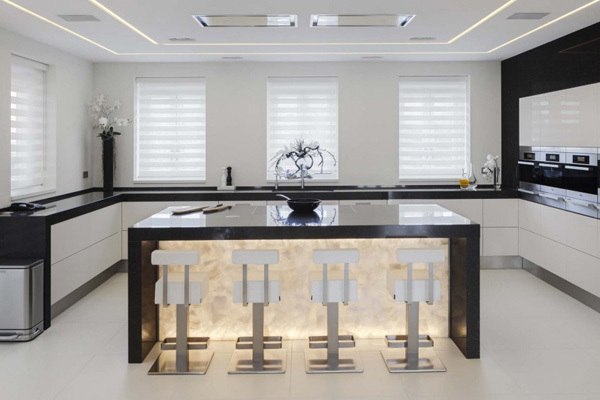 The lighting system applied in this kitchen unfolds its neatness and charm. 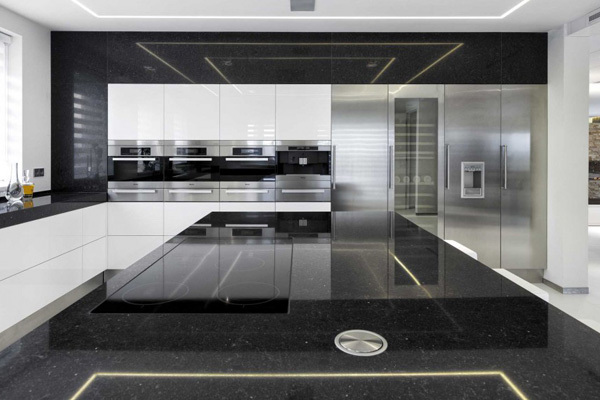 Here’s the functional and hygienic modern kitchen that also speaks of intimacy and fashion. 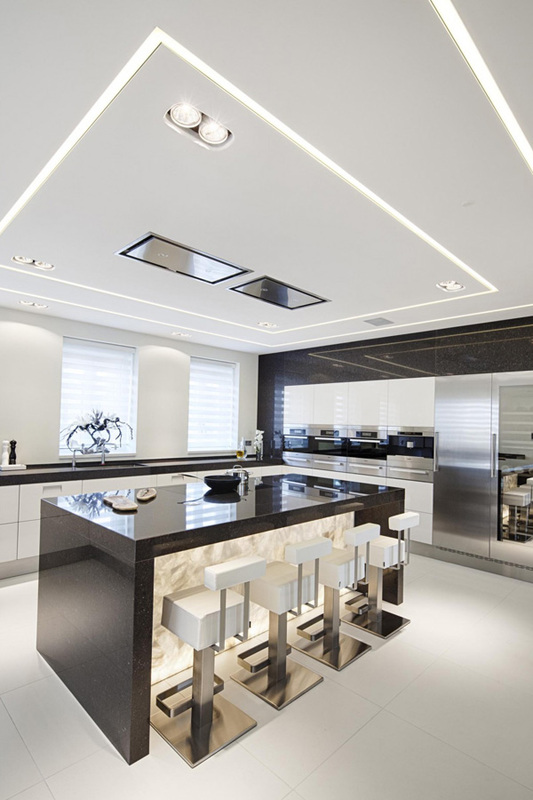 Take a look at the flawless texture of the cabinets and equipment stored in this contemporary kitchen. 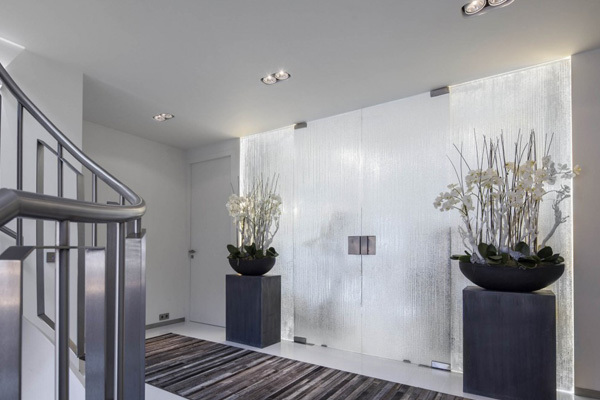 See how these plants in the entrance enhance the look of the interior. 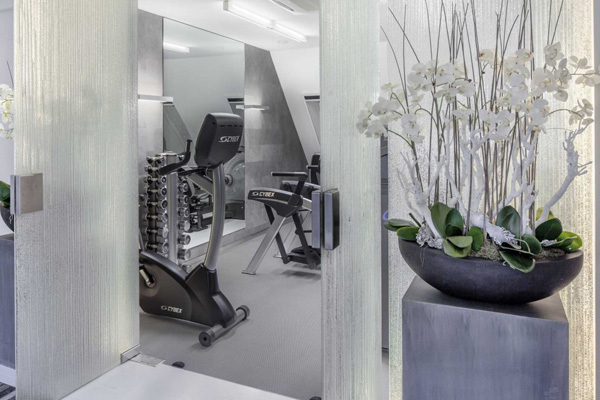 Notable designs and elegance are achieved in the interior for its glassed materials. 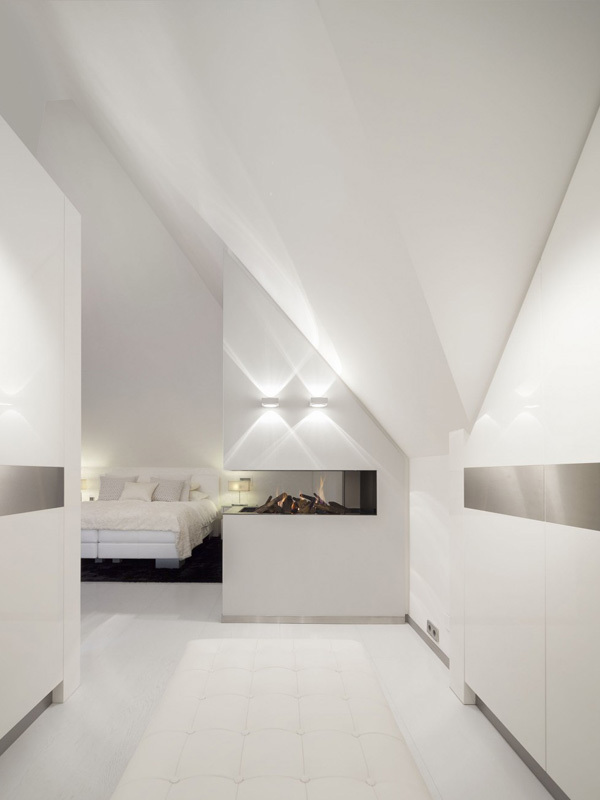 LED lights installed in the bedroom carefully emphasized a clean and comfortable space. 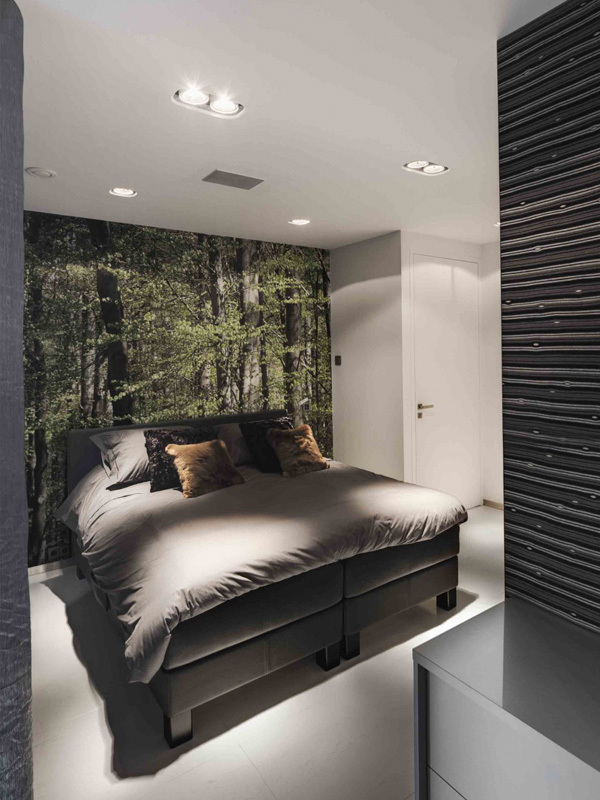 The wall art in this bedroom is perfect for its grey and brown bed with the astounding lighting system. 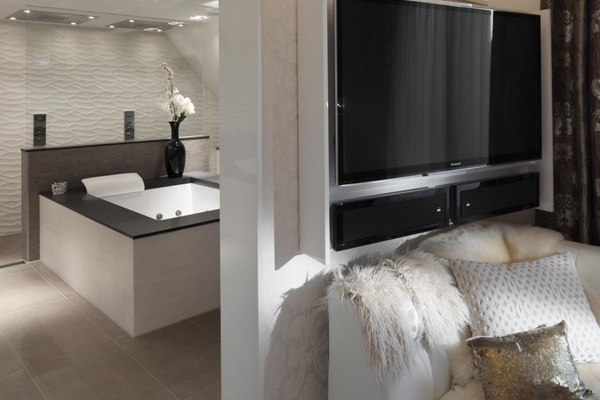 Have a careful look at the textures of the walls and cabinets in this bedroom and bathroom. 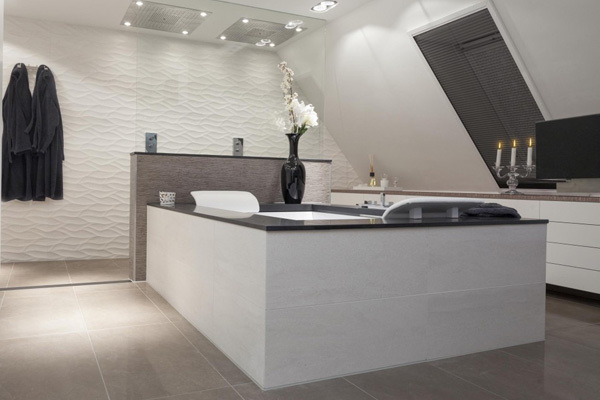 Black and white palette utilized in this bathroom is enough to make it look clean and fabulous. 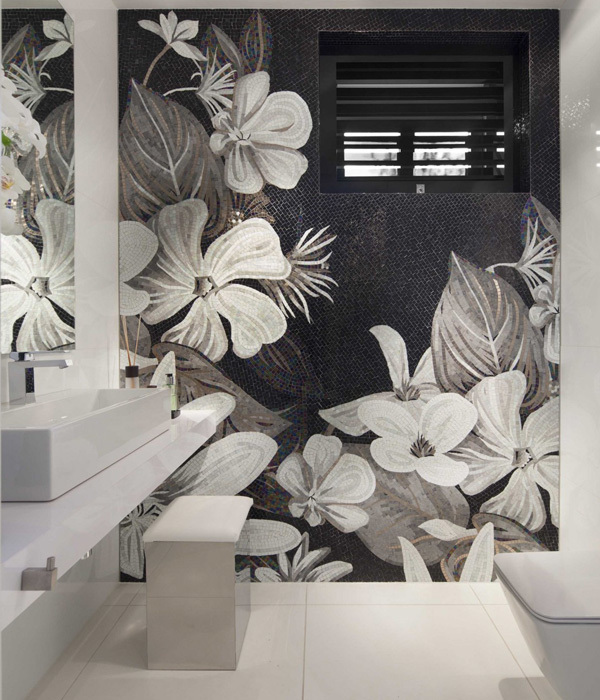 Floral accents in this powder space also relates with the type of location and exterior design of this house. 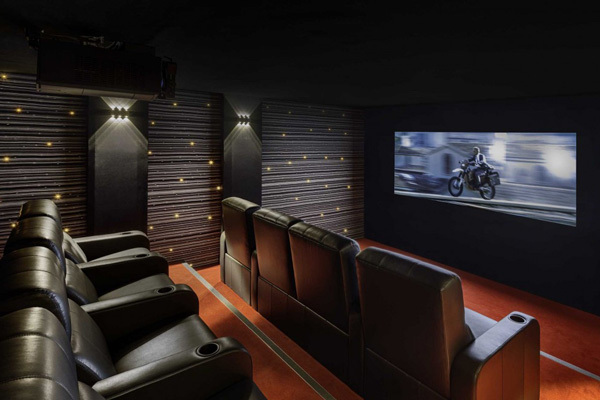 Here’s one of the modern zones of the house where the client can fully enjoy the high technological equipment. 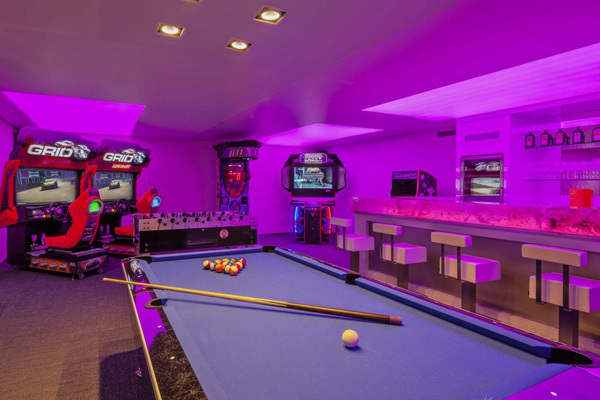 Cool and sporty details of this entertainment area is also offered in this space where modern character is accessible. Fascinating photographs taken by Rene van Dongen above, clearly shows the ultimate transformation of this old farm house into a newly remodeled private residence. TheGuido Decoussemaecker also proves that he can renovate and remodel this old farmhouse into a lovelier and glamorous private residential house. 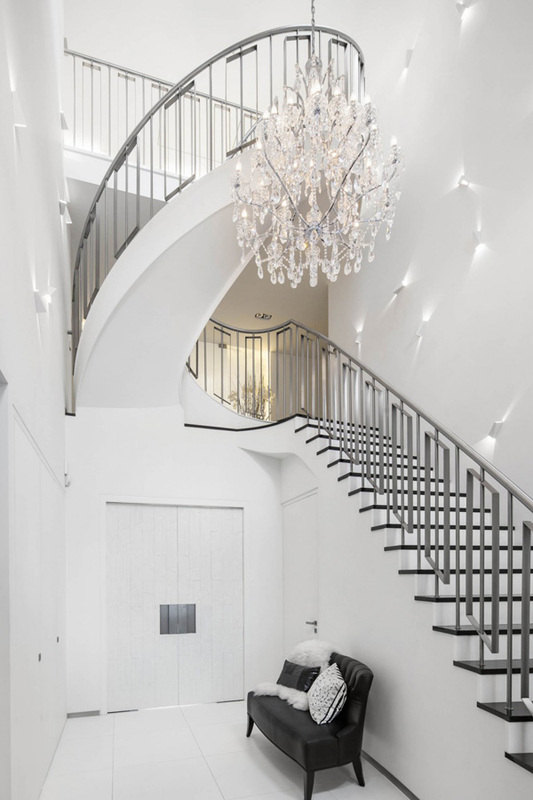 I personally like the entrance to the staircase area as it shows the real elegance and expensive furniture and accessories that help the designer to achieve its goal. We hope that you enjoy every detail of this house as you may apply this in your dream house in the future.